Anthony Wills has worked in the drinks industry for 40 years, over 20 of which have been spent plying his trade in the single malt whisky industry. Before dreams of Kilchoman were flowing through Anthony’s mind, he entered the whisky industry as an Independent bottler in the mid 1990’s, bottling casks from many of Scotland’s fine distilleries, learning his craft in wood management and cask maturation, something very important to Kilchoman today. As a relative newcomer to the world of independent bottling in the early 2000’s, Anthony was unable to source many of the high-quality casks he was searching for. As the demand and intrigue at the premium end of the market was starting to grow, a lot of the distilleries he worked with began to hold onto their stock rather than releasing it into the open market. This is when the seed was first planted in Anthony’s mind, if he couldn’t get his hands on the whisky he was searching for, then he would go ahead and make it himself! Anthony had always felt there had to be a point of difference, a unique way of producing a whisky like no other. “There was no point in building a distillery like every other in Scotland… and I had always been fascinated by the history of farm distilling in Scotland”. From this came the long planning and building of Islay’s only farm distillery, where barley could be grown and the whole whisky-making process could be shown on one site. “To me, that is what Kilchoman is all about, we are telling a completely different story to the mainstream distillery’s, something special”. To many outside the whisky industry it’s a mystery how a small island on the west coast of Scotland has so many distilleries famous throughout the world. Islay is an iconic brand for single malt whisky, with the island’s reputation and the family’s historic connection to the island (a story for another time), it was the obvious choice for Anthony and his family to locate the distillery on Islay, a decision he is still very thankful for today. “There is no doubt in my mind that the single most important decision we took was to locate the distillery here because of Islay’s unique brand image around the world”. Fast forward 13 years and Kilchoman is thriving, the distillery is currently expanding to allow for an increase in production to satisfy demand. 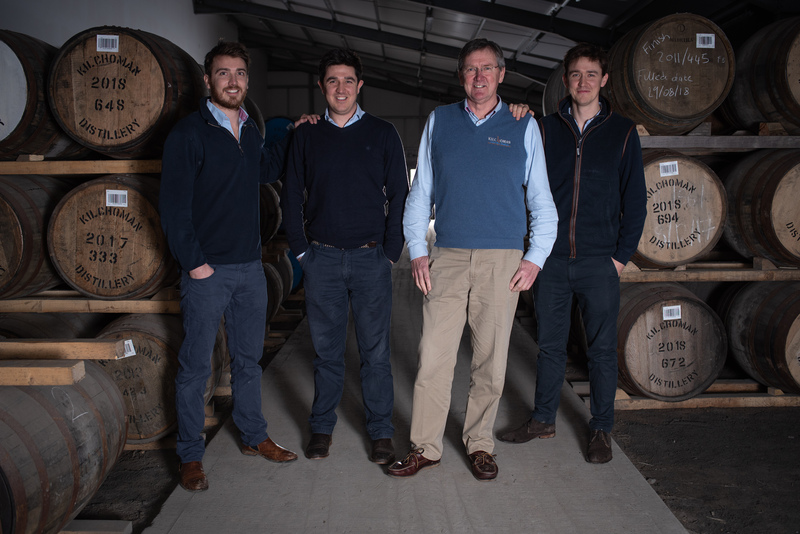 “Where we are now is unbelievable, I would never have imagined we would ever have been where we are now – I just had an idea that this type of distillery would have an appeal with a wider audience around the world; a small bespoke, farm, family run distillery had a place in the market”. The industry has changed hugely in recent years, 25 years ago, only 3-4% of all scotch whisky (blends included) sold around the world was single malt, now it’s over 10%, which is a huge increase. 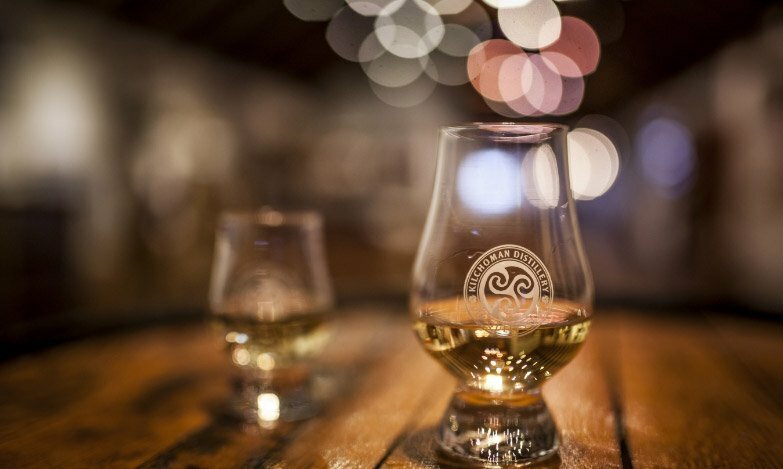 “timing in this world is everything and we got that absolutely spot on in terms of the market and enthusiasm for experimentation in single malt”. Now established for over 13 years, the decision was made to double production to allow the distillery to satisfy demand around the world. This was a big decision to make and necessary to avoid running out of stock in four- or five-years’ time. Anthony may have had to start limiting all Kilchoman releases and this was something he didn’t want to happen. 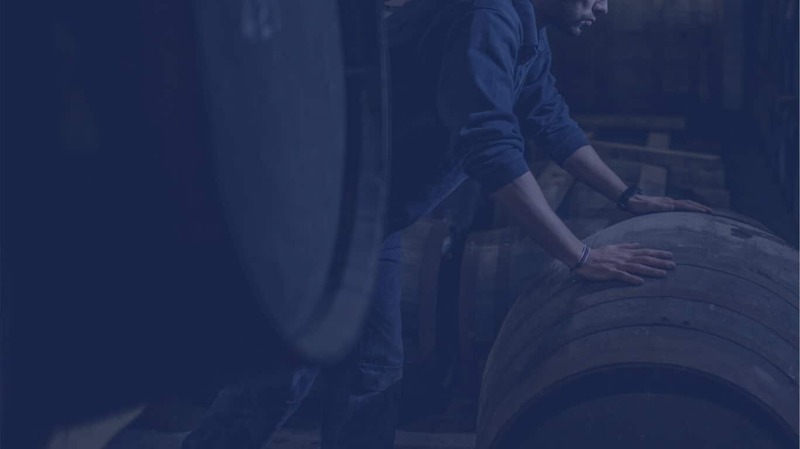 “This [the expansion] will provide us with plenty of whisky going forward, we can carry on growing the brand and hopefully build a successful single malt whisky. That is what’s driving me forward, having my boys in the business means that I am more driven to take Kilchoman to the next level”.